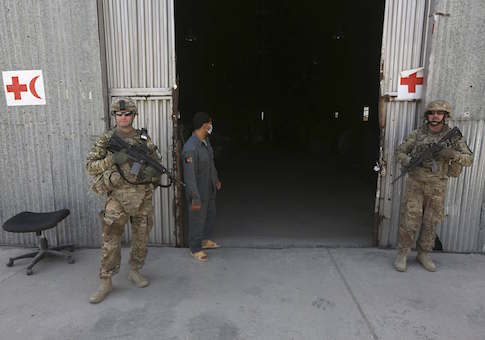 KABUL (Reuters) – The United States is preparing to increase the number of troops it keeps in Afghanistan in 2015 to fill a gap left in the NATO mission by other contributing nations, according to three sources with direct knowledge of the situation. Under the U.S. commitment, described as a "bridging solution" until other nations fulfill their pledges later in the year or the troops are no longer needed, Washington may provide up to 1,000 extra troops. The bulk of Western combat troops are to leave the country at the end of this year when the mission officially winds up after 13 years of war against a stubborn Taliban and its al Qaeda allies. The move to increase the U.S. presence left in Afghanistan comes shortly after Obama approved plans to give the U.S. military a wider role to fight the hardline Islamist Taliban movement alongside Afghan forces after the mission expires.